Heat the sesame oil and a little vegetable oil in a large pot. Gently sauté the garlic, chilli and the ginger. Add the water and the instant miso paste, whisk to combine and bring to a simmer. 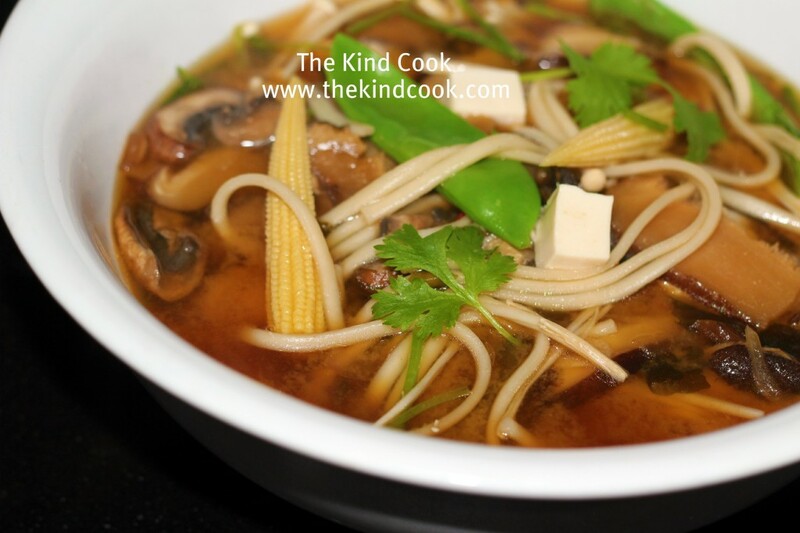 Place the cooked udon noodles, the snow peas, corn and enoki mushrooms equally into 2 large bowls. Add the rest of the ingredients to the miso pot and bring to the boil. Pour into the bowls over the noodles and vegetables. Servings: 2 large or 4 small.